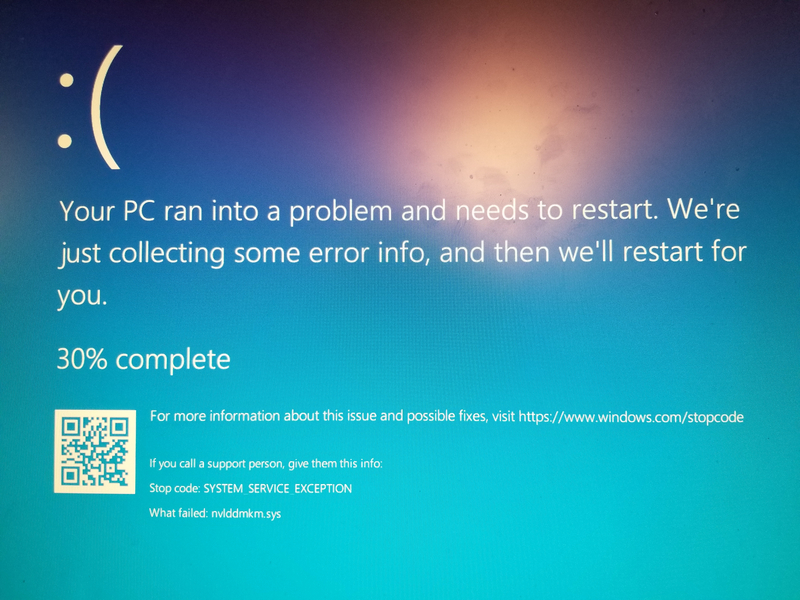 since 1.29 I have been getting BSOD errors on windows. - My computer and oculus were all working fine on 1.28. In fact, I had just rearanged plugs to fix some USB Bus bandwidth issues and was noting how much everything improved just the day before. - With 1.29 + Oculus core 2.0 the issues begin. Taking away Oculus core 2.0 DOES fix it, but I use the VR desktop option a LOT, so it's really not a great solution. - When all 4 are together, my second monitor goes blank, my first monitor freezes for a second, then the BSOD occurs. I can, in the mean time, run without Core 2.0, but I use in app VR desktop way too often to make that a good long term solutio, as I said. As best i can tell it's an issue with the "VR Monitor" being created. Any help fixing this would be great. I'd normally do more testing first, but I was troubleshooting tracking issues all week before figuring out the USB bandwidth issue (I know, took longer than it should), and didn't have much energy left to deal with this. Shoot, this was supposed to be in support, apologies, if a mod can move it there, that'd be great. Also I am attaching my culus logs zip here. I included the last 3 hours because I've tried once within that time, I am fairly certain I tried about 2 hours ago at last attempt. Can you take a photo of the blue screen? Also, if you send us the blue screen Windows dump file we can try to diagnose this. Do you know which driver crashed (should say on the blue screen)? You can also run https://www.nirsoft.net/utils/blue_screen_view.html against the blue screen dmp file. Here is the bluescreen image. Will get the dump shortly. And here's the dump file in a zip. I can say, since it started happening I have updated my NVidia drivers just to make sure, it did not help. Thanks. I will speak with the team. Hello. My name is Manuel and I am part of the NVIDIA Customer Care team. We would like to look into your issue but in order to do so, we will need a full Windows dump file from your PC the next time you come across this issue. Can you collect a full dump file as described below and then upload it to a file sharing service like Google Drive and email me the link to download the file to [email protected]? If you zip up the file, it should greatly reduce the size of the file. Please link to this thread in your email to me so I know which issue your dump file is for. Also if possible could you fill out the feedback form below so that we have your system configuration to try and setup a system as close to yours as possible to reproduce? Dunno if it's connected but I just had a BSOD running Fallout 4 VR (via Steam VR), and when I got back into windows (10, 64bit), the Oculus software (1.29) wants me to run setup again as if it's forgotten everything. I'm NOT on the core 2.0 beta though. I'm on 398.11 with a GTX1070. If you feel need for a VR desktop I suggest you try Virtual Desktop (from Oculus Store). I use this within the Original Oculus Home and it works great imho. Personally I'm not a big fan of VR desktops because I find (with my +60yo eyes) they are kinda hard to read and navigate. I do like to use the Oculus Go browser though. Mainly because it is very convenient and I find it a lot easier to read and navigate. Of course your other option is to reinstall the current Oculus Software. Go to the Oculus setup/download page and download and run the software and select Repair. This should keep your current apps intact. Then update/reinstall your Oculus drivers. Make sure your Oculus app is closed. Assuming you installed Oculus on C drive, go to C:\Program Files\Oculus\Support\oculus-drivers. Open and run oculus-driver, then restart your computer afterwards. I recently got this advice from Oculus support and it did seem to help solve my usb problems that I got after the latest 1.29 firmware update. Hopefully this will help sort out some of your problems too. Good luck! Manuel, I am working on getting that Dump file uploaded and sent over, but have done the survey in the meantime. TomCgcmfc, I have tried an oculus repair install well before making this thread, it did no good. And the reason I like having Desktop access is because most of my VR games are on steam, and if I want to access any other windows, like say a chat window to see if anyone has said anything to me between beat saber tracks, having to take off the headset rather than make a quick glance is very useful. I also have been streaming my beat saber morning workouts, and I like being able to literally just look at chat when I have a moment, rather than taking the whole headset off for just that. And that said, I would like to not have to spent money on a solution here that will be abandoned as soon as my problem is fixed. It's also definitely not a USB problem, as it's listing a GPU driver file as the issue. Fish998, I think you should make your own thread. Mine seems to be specifically related to how Oculus is now handling setting up the VR monitor for desktop interaction, which is a Core 2.0 feature, and the problem is not related to any specific game software. I could be wrong, but with the tsting I've done so far, I doubt it. You might want to try the advice I gave KichiK in the thread above his. Obviously it was no use to him but it may help you. Actually, I did get a BSOD after I installed the new 1.29 firmware, but at least it seemed to work ok, but then my usb ports started acting up. After a reinstall/repair and driver reinstall all seems fine. I am still having problems with X-Plane 11 shutdowns and I have sent X-Plane 11 a bug report so hopefully they will fix this soon. Quick update for Manuel, I tried to get the dump file via the notmyfault64.exe as was listed in the tutorial, but that crashed my computer as well, listing myfault.sys. I'm gonna run a system file check to be safe, but please let me know if I should recrash the problem-we're-solving way before sending the file. EDIT: I realized that tool is for issues that don't already crash your computer, so I have recrashed via the problem that this thread is about, and have zipped the file, upload is running, but I will probably still have to email the link tomorrow as it IS a 6GB file, even compressed. Man it sounds like you are having fun Mate! Prayers in progress! Okay, since posting this, I have been playing without Core 2.0, and have still been having issues, notably, frequent loss of tracking in both controllers and headset, occasionally followed by the headset itself disconnecting. I have attached the most recent log, in which the most recent play session ended with this loss of tracking to headset disconnect pattern. Okay, update to the situtaion, I recieved a new Oculus cable due to the fact that Oculus support noticed I was missing pins on the HDMI plug. This has not fully fixed my BSoDs with Core 2.0 however. That said, it did partially fix them. I've been using active HDMI extender, and while previously, I tested without it to be safe and still BSoD'd, with the fixed cable, I can get it working without the extender. With the extender, I still get the same crash, listing the same NVidia driver. 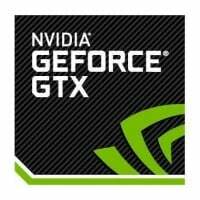 I plan to get another extender (they're useful to have regardless, so why not), and see if that fixes it, but in the meantime, I figure any NVidia personnel watching this thread may appreciate somie direction in their hunt for this issue. EDIT: Nevermind, BSoDing even directly connected again. I've tried disabling every software ai can but nothing seems to make it work like it did that once. I also tried updating to the public beta 1.30 and it did not help.